If you are looking for an amazing, wild ride, the Toyota 4Runner is the ideal vehicle for you. Thomasville drivers that love SUVs know the Toyota 4Runner is both practical and capable of off-road rides. The 4Runner was redesigned and given a rugged, powerful look while still staying true to its style. The instrument panel also went through an overhaul to update with technology that is more sophisticated. Performance, function, and style meld together to give the Toyota 4Runner the perfect mix of all worlds. You will see the upgrades everywhere in this vehicle and still be pleased to see some of the classic features. he 4Runner is capable of meeting the needs of a wide variety of passengers in addition to its driver. You will see the Toyota 4Runner standardly equipped with a Premium Entune Audio System so you and your passengers can be entertained on any ride. In addition, you’ll find Navigation capabilities, Bluetooth, 15 JBL speakers, and the Entune App Suite. With Georgia’s many hills, there is simply no vehicle to match the Toyota 4Runner’s 4WD with KDSS/Crawl and active traction control. The Crawl control and Kinetic Dynamic Suspension System help ensure the 4Runner stays grounded. You’ll find that the suspension system easily and automatically adjusts when driving on or off the road. The 4Runner comes with Hill Start Assist Control so you won’t roll backward when going from breaking to gassing while sitting on a hill. With the multi-terrain select, you can easily select between four different modes for better traction. All this comes with the 4Runner’s V6, 4-liter 270 horsepower engine. Check out our 4Runner inventory or, better yet, head over to Thomasville Toyota and get behind the wheel for a test drive today! The 2016 Toyota 4Runner is here and we already have fantastic discounts. 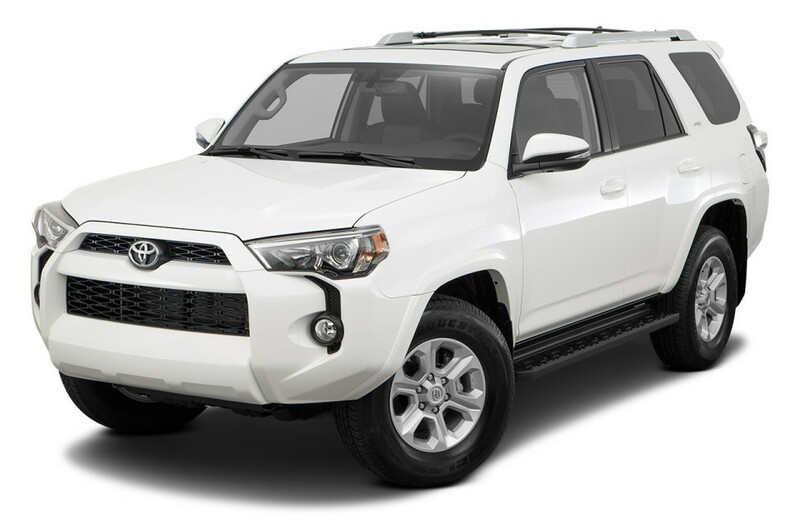 If you are shopping for a quality used 4Runner in Thomasville, we have an incredible inventory to choose from.